This week’s Authors & Inspirations interview is with historical fiction author Hester Fox! 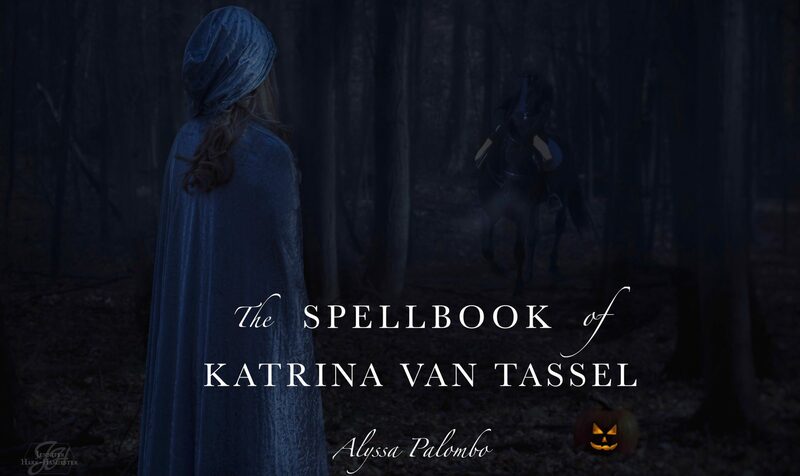 Hester’s debut novel, The Witch of Willow Hall, came out on October 2nd of last year – the same day as The Spellbook of Katrina Van Tassel. I loved Hester’s moody, gothic, witchy book (it makes a perfect fall AND winter read, when you’re cozy inside under some blankets) and it’s been fun that our books were release day sisters! Welcome, Hester! What artist (of any medium) has had the biggest influence on you as a writer? Can’t think of one in particular…I think it would have to be a combination of influences that came at the right time for me in my writing journey. Oh yes. I love creating playlists for different projects, sometimes down to the scene level. I find listening to the same music throughout a manuscript helps me stay in the same mood/headspace and achieve a level of cohesion throughout the months-long writing process. My current work in progress is set in the 1850s, so it’s loaded up with Chopin, Beethoven, Schubert, as well as some period movie soundtracks. I love the Decemberists because they are master story-tellers. Each song has such a strong sense of place and mood. I think it was Arcade Fire last year. I saw the Royal Concertgebouw Orchestra perform Mozart and Dvorak in Amsterdam, though I was there to visit family- the concert was just a bonus! I’m a huge Lana del Rey fan and I would love to see her perform live one day. I played violin for most of my life but never even got close to virtuoso level. I always wanted to play piano, though. Not one in particular that comes to mind, but often I will watch a period drama to help me get in the right head space for writing, and to mimic character idiosyncrasies. Downton Abbey. Two words: Zombie Sybil. Hm, I think Book 2 which I’m just finishing up now. It’s set in 1840’s rural Maine during the height of Edgar Allan Poe-mania. There’s a big cast of characters and lots of mystery. I’m rubbish when it comes to casting though! I don’t watch a ton of movies, but the ones I do watch over and over are usually adaptations of 19th century books and period dramas. I love Pride & Prejudice, Northanger Abbey, Bleak House, and Quills. The Others is probably my all-time favorite. I’m really bad at names and faces, but I will watch anything with Matthew McFayden, Tom Hardy, Kate Winslet, or Holiday Grainger. Which of your books do you think would make a great movie? Is there a book of yours you WOULDN’T want to see as a movie, and why? I think The Witch of Willow Hall would make a better movie than tv series. I definitely wouldn’t turn down either, though! Not usually, but I was lucky enough to see Hamilton in Boston last month. What are your top five favorite musicals (if applicable)? Sorry, I don’t think I could name even five! Kelly Louise Judd. Her art hits that sweet spot of folksy, dark, nostalgic, and melancholy. I will keep tabs open on my laptop with different art from the period in which I’m writing so I can reference them as I write. I’ve also found museum catalogs and websites to be helpful, especially when it comes to describing furniture or interior design. Traveling in general always gets the story juices flowing, but I don’t usually get story ideas about the specific locations where I travel. I started Willow Hall on a plane to Iceland, for example. Somewhere in the UK, probably either Yorkshire or Scotland as those are my favorite places. Maybe the Hebrides? Yes! My Favorite Murder, Lore, Someone Knows Something (and pretty much anything the CBC puts out) are some of my favorites. I am a big fan of Susanna Kearsely’s work. I love the ease with which she crosses and combines genres, and the beautiful romances in her stories. I grew up on authors like Hardy, Dickens, Trollope, Gaskell, and Austen, so I feel like I have a lot of 19th century literary devices and tropes imprinted onto my subconscious. I’m usually reading multiple books at once so I’m not sure which was technically the last! I recently read Midnight Blue by Simone van der Vlugt which I enjoyed a lot. I also just finished the last book in Sandra Gulland’s Josephine B. series and have a serious book hangover. One of my favorite books of all time is Sherri Holman’s The Dress Lodger. I didn’t read it until years after it came out, so I might have missed some of the hype. Any kind of scene where a character lays it all on the line and bares their soul to someone else. Sometimes this is a fight scene, other times a declaration of love. I like to put on an audiobook and take a walk. I like drawing and water coloring small scale illustrations, learning new languages, and photography. I also bake with mixed success. I’ve tried sewing many times throughout my life and never been able to get the hang of patterns. If you could have a drink/cup of coffee/beverage of choice with any three people alive in the world right now, who would you pick? I’m so introverted I’m not even sure I could come up with three people! I’m finishing up revisions for my second book, The Widow of Pale Harbor which will be out fall 2019. I’m also working my third book The Orphan of Cemetery Hill. ​When not writing and painting, Hester Fox works in the museum field as a collections maintenance technician. This job has taken her from historic houses to fine art museums, where she has the privilege of cleaning and caring for collections that range from paintings by old masters, to ancient artifacts, to early American furniture. She has a master’s degree in historical archaeology, as well as a background in Medieval studies and art history.